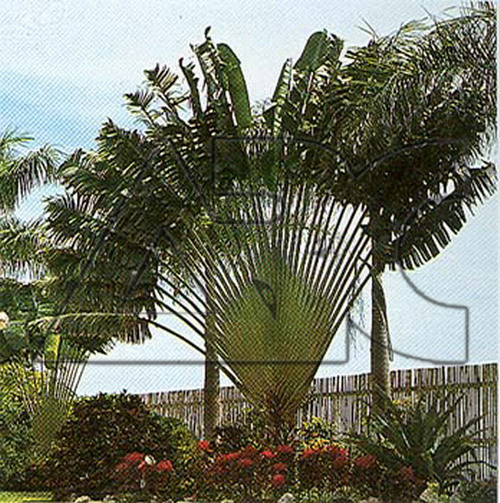 Large, palm like tree with leathery, rich green leaves that resemble palm fronds. Leaf blades are oblong and reach from 6 to 12 feet in length. Edible seeds are produced in fruit capsules after tiny, white summer blooms.